Does the idea of gutting the kitchen or adding on a bathroom invoke a sense of dread and anxiety? We’ve heard the horror stories, too. Unreliable remodelers who promise the moon and stars only to go AWOL halfway through the project. Jobs with multiple, expensive change orders your budget can’t support. Keeping it real, the truth is all remodeling projects come with surprises that reveal themselves as the work progresses. But none of them should make the process so stressful that your life is upended! Here’s a real look at common remodeling stress inducers and thoughts on how to avoid letting them keep you from getting the home you want—and deserve. 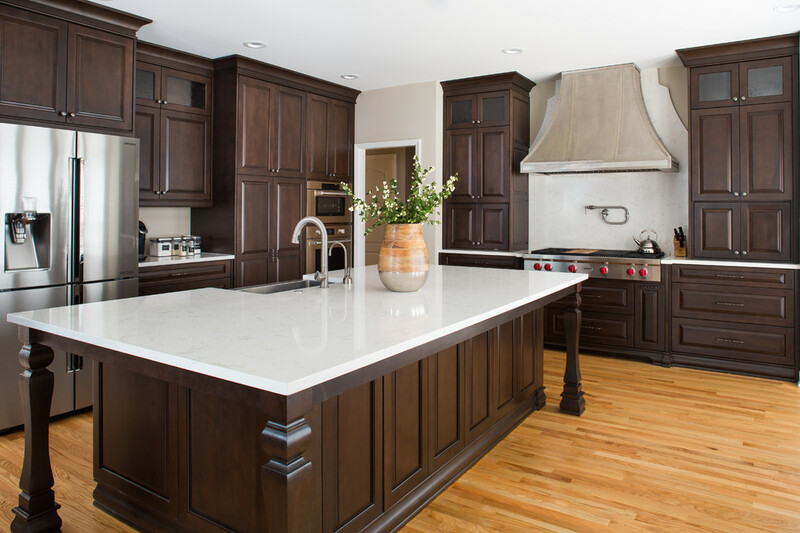 Not too long ago Houzz conducted a survey about the challenges families face during a remodel. Unsurprisingly, it found that nearly 97% of respondents said a remodel was worth it, but there were plenty of stressful times getting to the finish line. The top advice from those who took part? Compromise is key. And that a solid plan and firm budget before starting construction made all the difference. This is one of those easier said than done topics. For professional couples, especially those with young children, it’s tough enough juggling work and family life. Staying in your home during a kitchen remodel often means making coffee in the garage and eating lots of take-out food. And differences in coping with stress is another pain point. How to manage? Discuss ahead of time how and who will make decisions. Will it be 50/50 or will one person make most of them with the other weighing in from time to time? Plan for who gets the final say when there’s an impasse. Finally, talk to your design build team. We’ve seen and heard it all and are here to reassure you there isn’t a remodeling issue that can’t be dealt with. When you understand that the unexpected is bound to happen, you’re better equipped to deal with it when it does. All remodeling professionals are not created equal. Look for a professional firm that values open communication and who presents all your options from the get-go. Things like green remodeling, universal design elements, and new products, materials, and techniques should be covered before you get started on the design. Finally, communication is vital. With each other and with your design build firm. It not only keeps everyone on the same page but prevents misunderstandings which, in turn, reduces anxiety and stress!